"I highly recommend Charlie Cole to Local Mums. Without doubt Charlie was the best music teacher our children have ever had. �It’s not that easy to get children and especially boys, excited about extra curricular violin but they never complained about Charlie coming. �They made enormous progress under his tutelage and had great fun doing so. �He moved away and we really miss him." Charlie Cole is a well-established violinist with the ability to entertain and inspire. As a tutor Charlie aims to bring the excitement and creative aspect of performing into lessons so that your son/daughter will enjoy music as much as he. 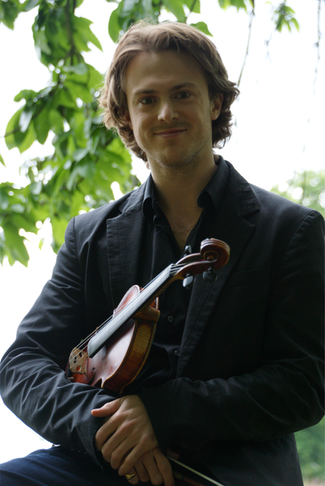 Charlie studied Violin at the Royal Northern College of Music and has experience in all genres of music, from classical right through to jazz and popular music. He has studied and worked with some of the most influential musicians of our time. Why should your children learn to play the violin? - Learning music at an early age has been proven to enhance brain function in children and give them beneficial skills for life. - Improves listening skills, and encourages creativity. - Music can be played with other people in social situations. - Music is an important part of all our lives and to have knowledge and understanding of it is incredibly rewarding. Charlie is DBS checked and based in Croydon. He teaches all ages and abilities on competitive rates. Feel free to get in touch via email or phone.